Kathy Shoaf is a Travel Expert with 20+years of clinical and management experience in Geriatric, Rehabilitation and senior housing as an RN and ATP. She realized after years of counseling with families of our aging seniors that the QUEST to enjoy life "Should Never Have to Stop". Her ability to overcome Fear and Anxiety about travel... Makes "Bucket-List Dreams come true. Travel can be FUN for ALL ages… (especially when all of the ages are together). We are experts at suggesting the right product for EVERY family group. See and experience new places, ideas and cultures. Memories are the greatest bonding experience! Create memories that will LAST a Lifetime. Relationships created in New Experiences, Adventures, Challenges, New Sites and Sounds or Simple Time Together, will change your perspective forever. Call us to discuss ideas for every age and situation. 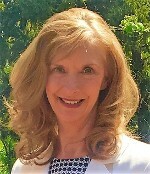 Kathy Shoaf is a Travel Expert with 20+years of clinical and management experience in Geriatric, Rehabilitation and senior housing as an RN and ATP. She realized after years of counseling with families of our aging seniors that the QUEST to enjoy life "Should Never Have to Stop". Her ability to overcome Fear and Anxiety about travel... Makes "Bucket-List Dreams come true. Kathy is uniquely qualified to understand travel challenges and create rational solutions. Her passion is to deliver Multi- generational Travel and Bucket-List Adventures, even when accessibility challenges and clinical issues exist. All seniors and those afflicted with limiting diagnosis still deserve to ENJOY EVERY DAY THAT GOD GIVES US! Kathy Shoaf, RN, ATP, is an accessibility travel specialist who accompanies all of our wheelchair and accessibility group cruises. She uses her unique abilities and background to find innovative, effective solutions to travel challenges, giving you the confidence and peace of mind you need to have a great trip. 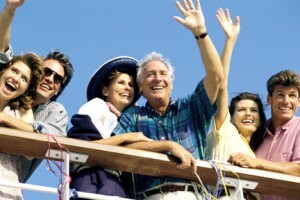 From on-board entertainment to off-board excursions, we choose trips and ports of call based on accessibility. You should never have to feel left out, so we help you participate in nearly any activity you want, including SCUBA diving, swimming with dolphins, city tours, or relaxing on the beach, when you travel, the opportunities are endless. Cruise options that can take you anywhere. With a focus on accessible travel, we make sure you have everything you need to enjoy every aspect of your trip without restrictions. 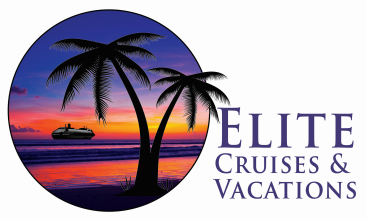 Our goal is to give you an unbeatable experience in some of the most beautiful locations in Mexico, Alaska, New England, Europe, and the Caribbean. Endless options are available: Adjoining cabins for family or caretaker, handicapped accessible ships, state rooms and excursions. Do not let accessibility issues derail your dreams. Walkers, wheelchairs, and on-board medical equipment, including oxygen and power wheelchair accessories, do not have to limit your life. "Bucket-List" adventures... Make the Dreams a reality! "It is time to enjoy life!" Don’t miss the opportunity to create memories that are honestly unforgettable. We help you choose options that the entire family (ALL ages, from 2-92 will enjoy). Mix the adventure of family history locations with FUN, SUN and Genuine Time Together… Time that you will Never Be Replaced.